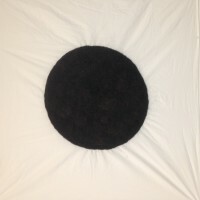 I began this piece by measuring out a 60 in sq piece of fabric and drawing a 25in sq circle in the center. 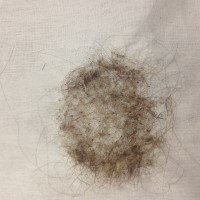 I then sewed a running stitch along the circumference of the circle and washed out all the marks from measuring. 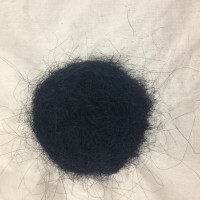 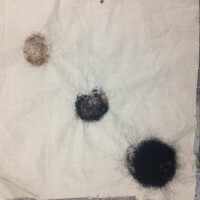 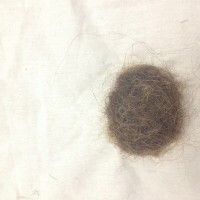 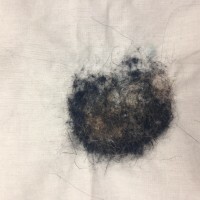 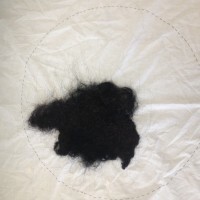 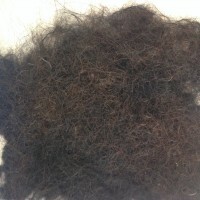 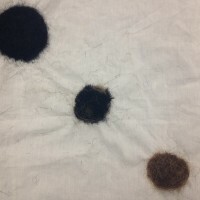 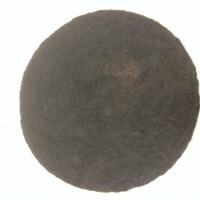 I filled in the circle with dark artificial hair at its base, and felted real human hair that I collected from hair salons on top of it. 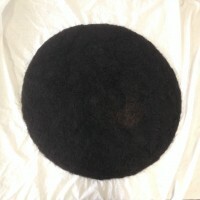 This layering created more depth and made the circle stand out starkly from its white backdrop.